QualityThe quality of our demonstrator vehicles isn’t reflected by their low price! In many cases, dealers offer demonstrator vehicles at unbeatable prices simply to create additional space and reorganize their inventory. It’s the perfect occasion to get yourself a like-new vehicle at a reduced price without having to sacrifice quality. EquipmentDemonstrator vehicles offer varied equipment and the latest features at great prices. Get behind the wheel of a vehicle that has all the features you’re looking for, without the high price tag. Ile-Perrot Toyota offers high-quality demonstrator vehicles at the best prices in the Pincourt area. Our demonstrator vehicles are maintained by our team of experienced technicians, so you can be confident that they are in great condition. 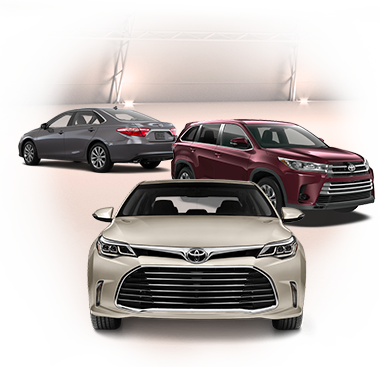 Find the car, SUV, or truck that meets your needs at Ile-Perrot Toyota near Vaudreuil-Dorion. We know how important it is to stay within your budget when purchasing a new vehicle. It can sometimes be difficult to find a vehicle with all the features you’re looking for at a price that falls within your budget. Demonstrator vehicles from Ile-Perrot Toyota are a great way to get a little more – like cutting-edge technology and premium features – for less. Ile-Perrot Toyota offers a range of flexible financing plans. Our finance specialists will find the credit solution you need to get the vehicle you want. For even more savings, check out our special offers page for promotions on new vehicles and maintenance services. Take advantage of great prices on demonstrator vehicles at Ile-Perrot Toyota before it’s too late! Contact us today to schedule your test drive! Find the vehicle that best suits your needs!